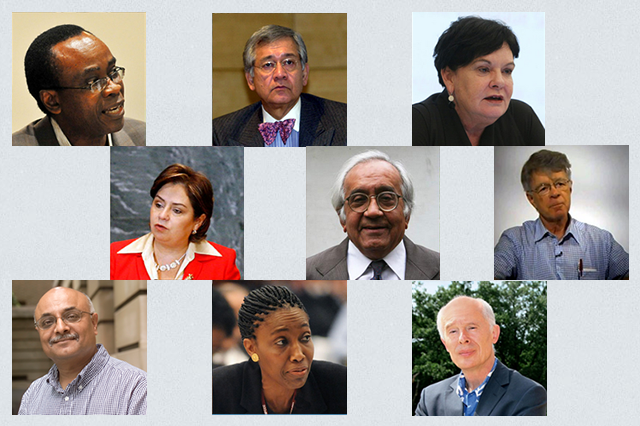 Ten members of the global High Level Advisory Committee to the Climate Justice Dialogue (HLAC) will engage in an interactive dialogue. The Mary Robinson Foundation - Climate Justice is hosting a public event titled "Climate Justice Dialogue: 2015 - An opportunity not to be missed" in Berlin on 13 April 2015. 2015 is an historic year. It is set as the deadline for both a new climate agreement and the post-2015 development agenda, and we are at the point in human development where we need to show radical leadership on climate change. The task before humanity is to ensure that the transition to a low-carbon, climate resilient world looks out for the interests of all people. This Climate Justice Dialogue, hosted by the Mary Robinson Foundation – Climate Justice on 13 April in partnership with the Potsdam Institute for Climate Impact Research (PIK) and with the kind support of Humboldt Universität zu Berlin, will offer an opportunity to take a closer look at the challenges and solutions lying ahead of us this year. Do we need to transform our economic system to ensure we adequately reduce carbon emissions? Can we ignore the economic and social costs of climate impacts on people, their rights, their homes, their food security and the ecosystems? How do we design climate action that protects human rights and leads to outcomes that are good for people as well as the planet? What does leaving the majority of the remaining fossil fuel reserves in the ground really mean for people? The HLAC is a diverse group of leaders and advocates who are united in the need for a strong response to the climate crisis. What action will you take in 2015? This event is open to all members of the public who are warmly invited to participate in a Q & A session and engage with the members of the HLAC. DOORS OPEN at 18.30 (start at 19.00 hrs sharp). This event has limited seat availability and online registration is mandatory. To secure your seat REGISTER HERE. HLAC Meeting 2014: Tackling Global Injustice in a World of Climate Change: Punishing the Innocent?